Amazon on Thursday announced it will acquire digital comics agency ComiXology for an undisclosed sum. But why does the world’s biggest online retailer care so much about comic books? Well, that’s because the deal—and ComiXology, as a whole—isn’t just about comics. ComiXology is pioneering the art of digital storytelling, and attempting to bring these tools to the masses. With Amazon, ComiXology gets a big boost towards its goal of adding a third dimension to the two-dimensional world of books, comics and graphic novels. Smartphones and tablets are great because they can store a veritable library of books on relatively lightweight devices, which is so much better than having to lug around pounds of paper. But ComiXology believes electronic devices can do so much more than simply replicate the experience of reading a physical book. With special tools like “Guided View,” ComiXology lets its authors and artists select how they want their stories to feel and how they want them to be read. Like movie directors, they can choose the speed and order of every shot, and add special effects like “pan,” “zoom” and “fade” whenever they’d like. Though ComiXology has been touting its immersive technologies for years, it only recently gave people the ability to create, stylize and publish their own books through a platform called “ComiXology Submit,” released in 2012. Like ComiXology as a whole, ComiXology Submit was free for all authors and allowed them to create and sell their works across a slew of mobile operating systems, including iOS, Android, Windows, Kindle Fire and the Web. Until Amazon started tackling the living room recently, the company used to be known for two main reasons: Its retail site, and its Kindle e-readers. With ComiXology under its belt, Amazon has a chance to make Kindle owners very happy. At its core, ComiXology lets artists design, create and publish their digital works to their liking—and making it easy for anyone to use. But with Amazon, this technology no longer needs to be limited to just comic books. The ComiXology acquisition is an important move to make Amazon’s ecosystem feel more complete. Before, Amazon users were limited to their roles as customers—Amazon supplied the books, and users bought them. Now, though, Kindle users can also be Kindle creators. 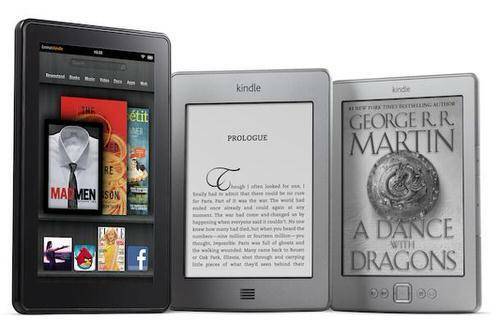 And if Amazon improves its Kindle software, those devices could potentially pull off more impressive visual effects than any other simple e-reader, or any book from the iBookstore, or from any digital bookstore for that matter. And that’s the key right there. Amazon has always been able to sell books, but now it has the means to provide unique digital experiences specifically for its platform. So if you want your ebook to provide readers with a cinematic experience, you’d have to use Amazon. And whereas Apple prohibits iBooks authors from publishing their original works elsewhere, Amazon has a real opportunity to attract artists with more flexible licensing agreements, and of course, a platform that allows artists to express their true creativity. Now it’s just a matter of execution.